The house mouse is commonly grayish, but the color can vary. The body is roughly 3 – 4 inches in length, with the tail being of equal length. The muzzle is pointy, the ears are large and the eyes are small. House mice prefer to nest in dark, quiet areas, where they may go undisturbed. An area with nesting material such as paper, cotton, insulation, or fabric is ideal. An opening as small as 1/4 inch is adequate for entry. Mice are inquisitive and explore anything that is new and different. They are nibblers and may chew on electrical wires, causing a fire hazard. Although the major health risk associated with the house mouse is salmonella and leptospirosis. 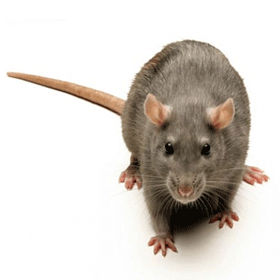 Our HomeCare Green program protects against common household pests, including mice! 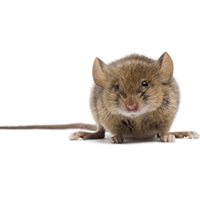 For more information on keeping your home mouse-free, get a quote today! House mice will eat most foods humans eat, such as cereals, fruit, grains, meats, seeds, sweets and vegetables. However, mice will eat most anything if choice food is not available. They generally have 2 main feedings, one in the evening and another just before dawn, with numerous small feedings in between. Mice become sexually mature and able to mate in just about 5 weeks time. Sexual maturity is reached in only 5-8 weeks. Female mice reproduce up to 8 times in their lifespan and can produce litters ranging from 4-7 pups. Therefore, a single female house mouse can produce up to 56 offspring annually. 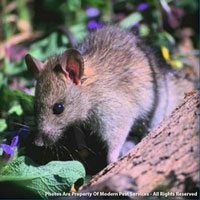 Not sure what type of pest is invading your home? Visit our Diagnostic Center and tell us what’s Bugging You! While some consider them to be cute in appearance, as a house guest, they can create health risks for you and your family, as well as cause structural damage to wires, insulation, and sheet rock. If you have a mouse problem, don’t try to tackle it alone. Give Modern Pest Services a call today at 1-888-997-3312 or get an instant online quote for the comprehensive HomeCare Green program that controls 60 common pests, year-round – including mice!